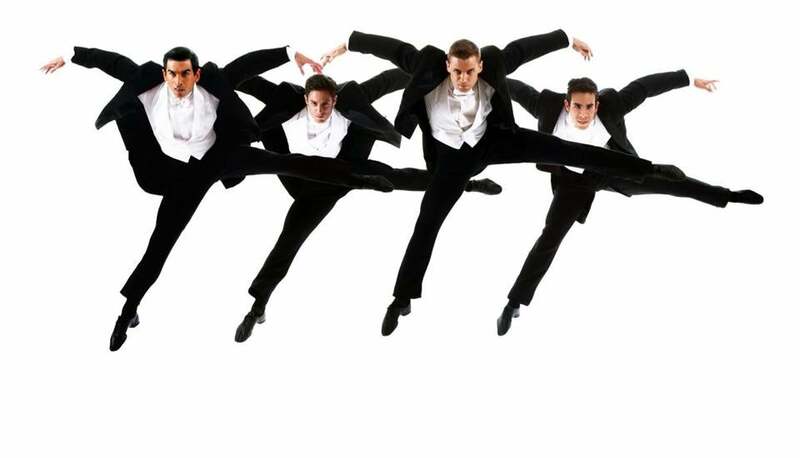 Members of the Paul Taylor Dance Company were known for their muscular athleticism. NEW YORK — Paul Taylor, a towering figure in American modern dance who, in a career that spanned more than six decades, created a vast body of work that reflected both the giddy highs and the depraved lows of the human condition, has died. He was 88. Spokeswoman Lisa Labrado told The Associated Press that Taylor died Wednesday at Beth Israel Medical Center in Manhattan. Labrado said Taylor was in hospice care and died of renal failure. Taylor kept working well into his 80s, venturing into his company’s Manhattan studios from his Long Island home to choreograph two new pieces a year, and 147 in all. The Paul Taylor Dance Company is one of the world’s most successful contemporary troupes, touring the globe year-round and able to pull off an annual three-week season at Lincoln Center’s David H. Koch Theater. Taylor dancer Michael Novak, named by Taylor as artistic director designate earlier this year, becomes the second artistic director in the company’s 64-year history. Audiences often appreciated Taylor’s newer pieces, but his signature work surely remained ‘‘Esplanade,’’ from 1975, an explosion of joy and athleticism, with Taylor’s limber dancers running, skipping, hurling themselves into each other’s arms like missiles and tumbling to the floor with abandon, all to two Bach concertos. ‘‘Big Bertha,’’ though, was most notable for its disturbing content, reflecting Taylor’s penchant for giving equal time to the darkest depths of human nature. ‘‘Bertha’’ is a robotic carnival creature. A wholesome 1950s family — a couple and their daughter — comes out to the fun fair to play, but after feeding coins into Bertha’s slot, slips into depravity; by the end, the father has raped and killed his pig-tailed young daughter. Even a lighter work, ‘‘Company B,’’ a set of jaunty dances like the jitterbug to the music of the Andrews Sisters, has its dark elements: Look closely amid the joyful dances and you see young men as soldiers, shot and crumpling to the ground. Mindful of the future of modern dance, Taylor sought to create an institutional home for the art form when, in 2015, he began presenting his spring Lincoln Center season under a new entity, Paul Taylor American Modern Dance, which offers works of other leading choreographers of the past, present and future alongside his own. Paul Belleville Taylor, Jr. was born July 29, 1930, during the Great Depression. He began his life in a town outside Pittsburgh, but spent much of his youth in the Washington, D.C. area. In his whimsically written autobiography, ‘‘Private Domain,’’ he describes a childhood full of boundary-testing moments: A run-in with police after he and a friend steal a baby stroller from a variety store, or a prep-school stunt involving the actual excavation of a coffin. He wound up at Syracuse University, where he studied painting and then joined the swim team, purely to gain scholarship money. College sports was more work than he expected, but at 6-foot tall and with a huge arm span, he was well suited to the sport. Those arms, swinging through space, would become crucial to his dance work. In fact, Taylor’s signature move looks a bit like a swimmer in mid-butterfly stroke, albeit twisted up to the sky. But the desire to dance came as a shock to Taylor: In his sophomore year, he once wrote, he experienced ‘‘something stronger than an itch ... an unignorable hunch ... a flash.’’ He informed his incredulous swimming coach he was leaving, to dance. ‘‘Don’t tell me you’re any good at it,’’ the coach replied. Taylor couldn’t — at least not yet. A year after graduating Juilliard in 1953, Taylor set up his own company, rehearsing in whatever space he could find. He was 24, and his first work was a collaboration with the artist Robert Rauschenberg, ‘‘Jack and the Beanstalk.’’ A year later he joined Graham’s company as a soloist — he would dance there for seven seasons, while continuing to build his own company. ‘‘We can only be grateful for this extraordinarily creative individual voice, which for more than six decades has been so primary in the foundation of what dance is and can be,’’ Juilliard President Damian Woetzel, a former New York City Ballet principal dancer, wrote to the AP in an email. For the score, he chose early New Orleans jazz, the music played at weddings and funerals in the south. He set five peculiar creatures — something like futuristic cavemen — gyrating across the stage, dressed head-to-toe in dark gray unitards, designed by Rauschenberg, with reflectors shining on their heads and hands. In 1959, Taylor collaborated with another giant of dance, George Balanchine, of the New York City Ballet, in his ‘‘Episodes.’’ The great Russian-born ballet master asked him to dance, Taylor has said, ‘‘like fly in glass of milk.’’ Balanchine also offered Taylor a permanent job, but he turned it down, put off by the formal strictures of ballet. Taylor’s own dancing career ended abruptly in 1974, after he collapsed onstage from illness and exhaustion during a performance in Brooklyn. But as a choreographer, he was just getting going: A year later came ‘‘Esplanade,’’ later celebrated as one of the most wondrous works of dance anywhere. And in 1976, he came up with the deliciously odd ‘‘Cloven Kingdom,’’ whose famous ‘‘men’s quartet’’ section was performed in the East Room of the White House in 2010 at a dance event hosted by first lady Michelle Obama. Men in tuxedoes dancing to Baroque music suddenly become four-legged animals, prowling to a drumbeat. The women? They dance daintily in evening wear, then suddenly turn up in metallic headgear from some old sci-fi film. Joy, passion, despair, death, depravity — there were few serious topics Taylor wouldn’t broach. But he was also known for his sense of humor. Sometimes it was merely weird, as in the curious ‘‘Phantasmagoria’’ (2011), which featured a Byzantine nun having a naughty interaction with a toy snake, not to mention an Irish step dancer, a group of Isadora Duncan disciples, a Depression-era Bowery bum and someone who infected everyone with a dancing virus — all to Renaissance music. But at other times it had a classic flair, as in the 1995 ‘‘Offenbach Overtures,’’ a foray into pure comedy and clowning to the spirited music of 19th-century French composer Jacques Offenbach, where buffoonish soldiers mixed with coquettish can-can dancers. In his later years, Taylor spent most of his time in his house in Long Island, venturing into Manhattan for events, like the Lincoln Center season, or for a six-week rehearsal period each year for new dances. At one such rehearsal, for ‘‘To Make Crops Grow,’’ Taylor allowed a visiting AP reporter to watch him work. Again and again, he asked a dancer playing a child to repeat one small move: A skip across the stage. It was too fast, too slow, too long, too short. In a quiet voice, he cracked an occasional joke, to reverent laughter from the troupe. The dance had a dark theme: it was based on the famous short story ‘‘The Lottery’’ by Shirley Jackson, about a stoning ritual in small-town America. Taylor remarked that he was never at a loss for ideas. ‘‘There’s a bottomless pit of ideas in dance,’’ he said. Taylor has even described choreographing as an addiction.